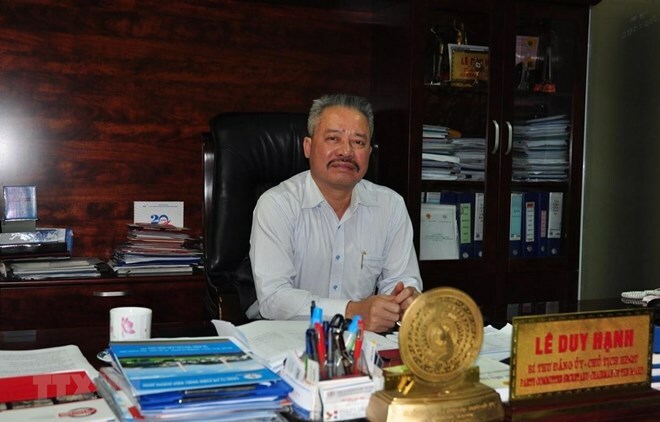 Quang Ninh (VNA) – The police investigation agency of the northern province of Quang Ninh on March 25 arrested Le Duy Hanh, chairman of the board of directors of Quang Ninh Thermal Power Joint Stock Company, serving their investigations into his alleged abuse of power. Earlier on March 22, the local police summoned Hanh to clarify his behaviour of forging various types of documents relating to the operation of the company. A representative from the local police said the agency has just taken legal proceedings against the case, not yet formally filed charges against Hanh. The company is still operating normally. Hanh, born in 1963, has served as the general director of Quang Ninh Thermal Power JSC, since 2014. From 2018, he was appointed as the chairman of the board of directors at the company. The company’s shareholders include Power Generation Corporation 1 (EVNGENCO1), State Capital Investment Corporation (SCIC), Vinacomin - Power Holding Corporation, Pha Lai Thermal Power Joint Stock Company (PPC), and Refrigeration Electrical Engineering Joint Stock Company (REE).